Is London about to be hit by a major earthquake? 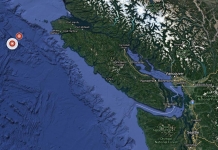 Scientists discover two fault lines under the capital that could trigger a massive tremor – one-in-a-thousand-year chance. One runs directly under central London and the other under Canary Wharf. The last large earthquake to affect London occurred on the 6 April 1580 and was estimated to have been a relatively large magnitude 5.5. London is overdue for a large quake. 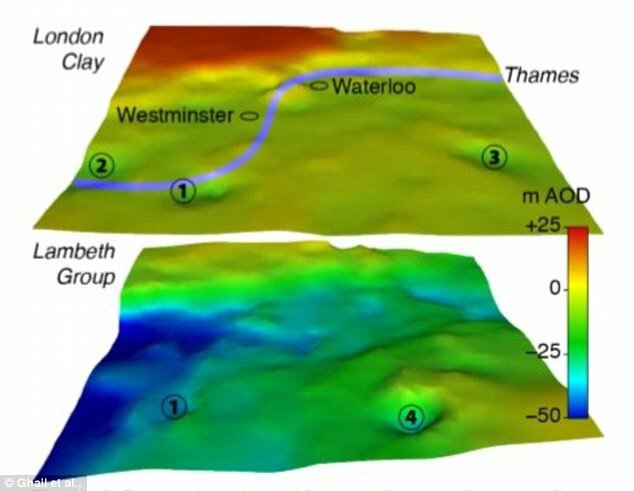 Scientists have found two fault lines running under London that could cause a magnitude 5 earthquake. The locations of the fault lines are shown here in black. This graph shows how ground underneath London moved between 1992 – 2001 and 2002 – 2010 with red showing rises and blue showing falls. Scientists have found two fault lines running under London that could cause a magnitude 5 earthquake. Both faults move between 1mm and 2mm a year, with one running directly under central London and the other under Canary Wharf. 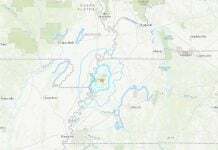 While London is believed to be overdue for a quake, researchers claim there is only a one-in-a-thousand-year chance of a magnitude 5 tremor occurring in the capital. The last large earthquake to affect London occurred on the 6 April 1580 and was estimated to have been a relatively large magnitude 5.5. The chance of an earthquake is ‘enough to be scary but not fundamentally a problem‘, Dr Richard Ghail, a specialist in civil and environmental engineering at Imperial College told the Telegraph. If a magnitude 5 earthquake hit, the shaking would be similar to standing on a platform between two passing trains. 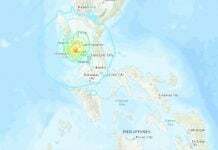 A magnitude 6 earthquake, however, could cause damage to buildings. This West-East distribution shows the movement over an eight year period from 1992 – 2000. Red implies the land moved westwards whilst blue shows an eastwards shift . If a magnitude 5 earthquake hit, the shaking would be similar to standing on a platform between two passing train. 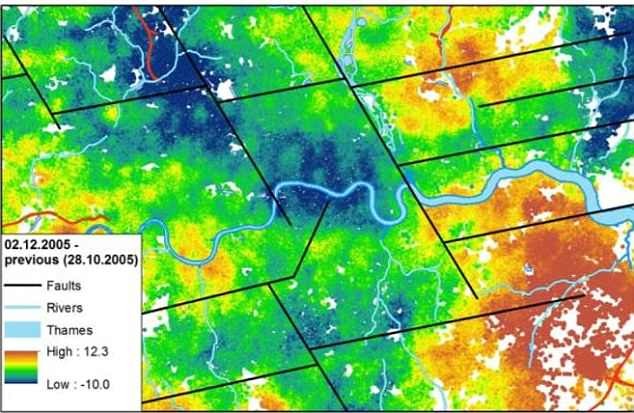 The Imperial College researchers found the fault lines using a type of radar imagery called PSInSAR (Persistent Scatterer Interferometric Synthetic Aperture Radar), a developing technique widely used to detect and monitor the moving of the ground, especially in urban settings. Dr Ghail’s research focused on the detection of smaller scale ground movements (of a few millimetres). 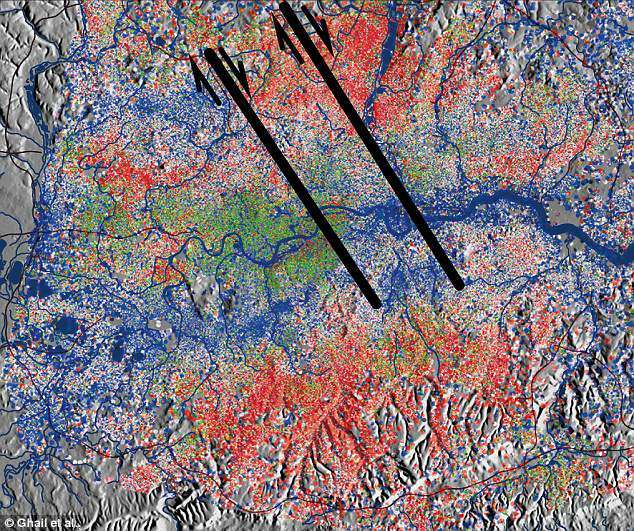 The team used the London PSInSAR dataset, which combines images from an archive spanning 18 years (1992 to 2000 and 2001 to 2010). From this they detected a pattern of movement that suggested two previously unknown fault lines exist in the capital. This image shows Ground movement between October and December 2005 with known faults shown by the black lines. The biggest risk to Londoners is not the earthquake itself but the knock-on effects. London has a very overloaded infrastructure and is therefore very sensitive to damage that affects more than one point on the system. Apart from the small risk of an earthquake, it is the potential for cost overruns of difficult engineering and damage to old infrastructure (like tube lines) that is most economically significant. The UK is expected to have an earthquake measuring 5.0 and higher on the Richter scale about once every eight years. Tremors between 1.0 and 1.9 are expected across the country every two-and-a-half days. The biggest earthquake in recent years was a M5.2 quake on February 27, 2008, with Market Rasen, Lincolnshire at its epicentre. It was felt across much of Britain, including in Newcastle, Yorkshire, London, the Midlands, Norfolk and Wales. 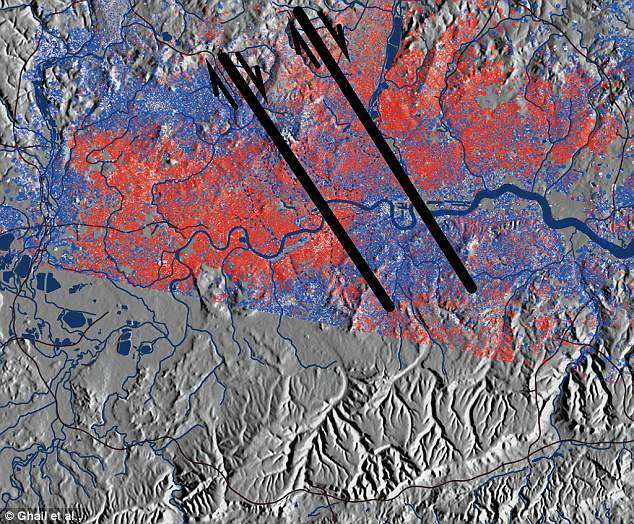 This graphic shows areas in London that have rapidly sunk due to the natural movement of the Earth. Localised depressions (1), (2), and (3) may result from restraining or releasing bends on faults in the ground. On August 25, 2013, Blackpool in Lancashire was hit with shakes ranging from 2.3-3.3 on the scale. On February 20, 2014, the Bristol Channel experienced the UK’s biggest quake in six years, measuring 4.1 on the Richter scale. Five more followed that year, with epicentres in Rutland (April 12 and 18), the North Sea (May 20) and Jersey (July 11 and July 28). The East Midlands were rocked once again on January 28 2015, when tremors returned to Rutland, with that year’s other quakes falling in Sandwich, Kent, four months later, when Gwynned, South Wales was also hit in separate tremors. There were two earthquakes in one day in Moidart in the Highlands of Scotland on August 4 this year. The tremor at 3.43pm measured 3.8 and one at 3.45pm was 3.4. 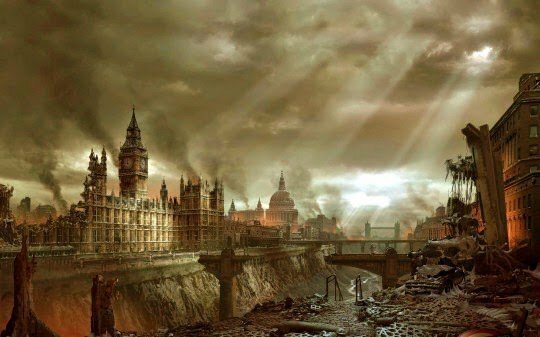 And the next Big One earthquake for the UK will maybe hit London, its capital city! Get prepared! Be ready!